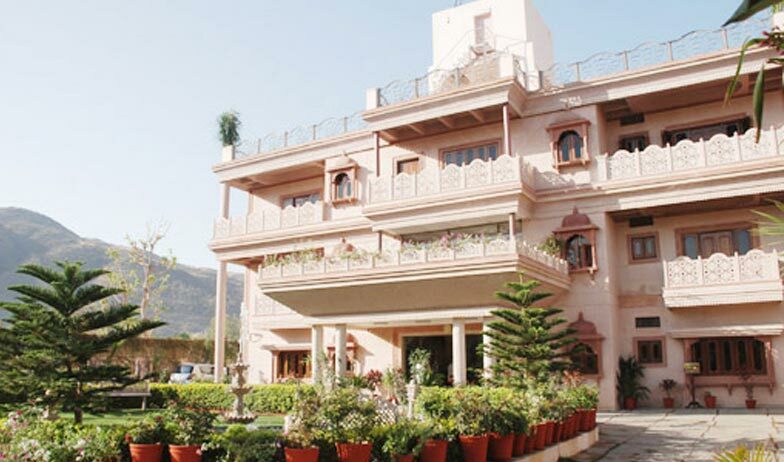 How it would be like that the hotel you stay in is surrounded by places like snake mountain and holy town of Pushkar at either side. Located at a similar location is hotel master paradise that promises you luxury and comfort at a level you have never experienced before. At the first glance, the hotel looks exactly like a royal and wealthy palace and as you approach the hotel the interiors are also designed as per a palace. 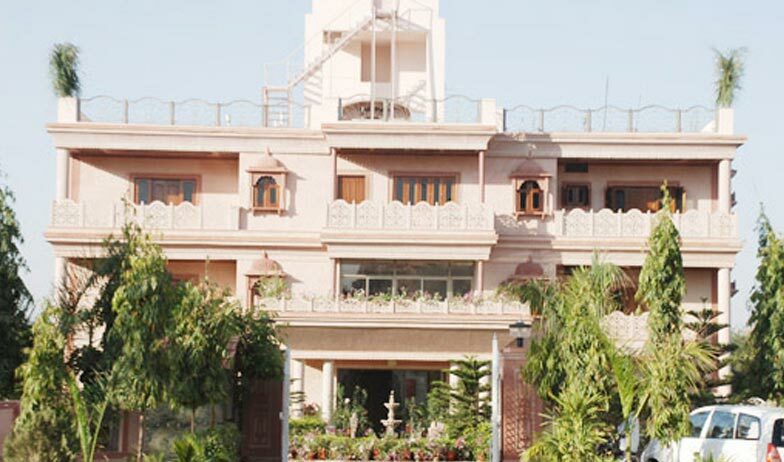 The beautifully crafted rooms, well maintained architecture, well ventilated and well spacious area makes this hotel your perfect Pushkar destination hotel. The hotel offers you a splendid retreat of multi-cuisine restaurant, massive swimming pool, separate ayurvedic massage parlor, Jacuzzi and steam bath. 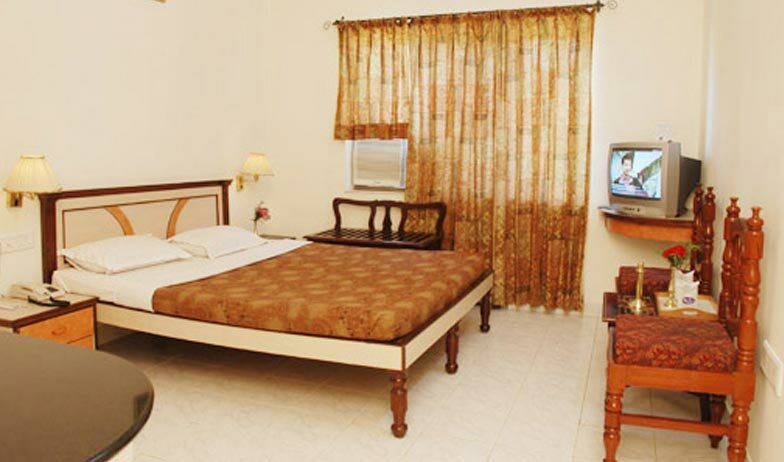 The rooms are well equipped with the basic amenities that are necessary to make your stay memorable. 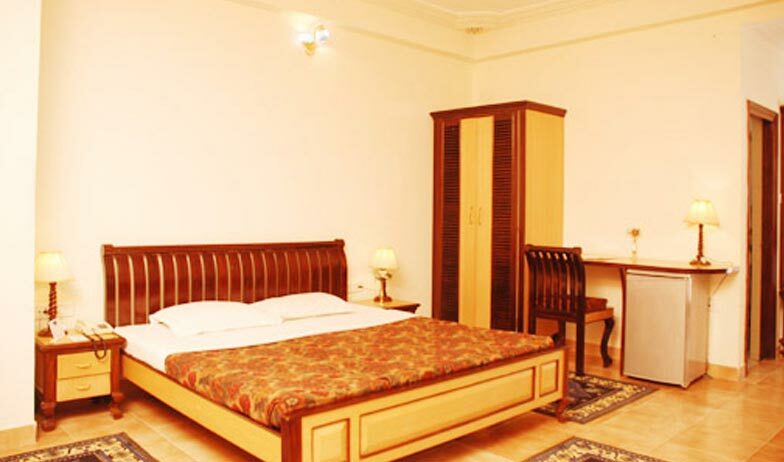 The hotel houses in total of thirteen deluxe rooms each well decorated and well maintained. The ambience of the room is warm and tranquil. The walls of the room have dark pastel shades of brown with lighting using orange lamp shade. A queen size bed with comfortable mattress occupies the most of the area of the room. Adjacent to bed are two small side peg tables made out of Maplewood. A dressing table with a large mirror is placed near the bed and an elegant chair is placed near it. Talking of the floor which is tiled but has carpets at the three sides of the bed that perfectly blends with the colour of the walls and floor. 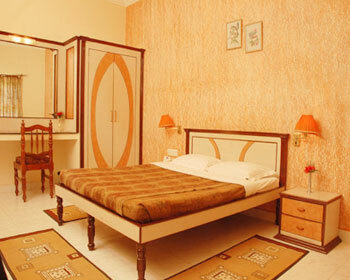 These spacious rooms account for a total of thirty eight rooms in the hotel. The room is beautifully constructed with a large bedroom attached with a small living room and washroom. The walls have light pastels but the wall of living area has rust pastel shade. A low bed is placed with beautifully carved backrest over which lays a soft mattress and plush pillows. A work desk and a TV cabinet have been placed in the room. A flat screen television is also offered for your convenience that shows regional, national and international channels. The living area has a small centre table with a sofa set placed right beyond it. And behind the sofa there is a large window that offers you the panoramic view of the city of Pushkar. The most luxurious room that is available in the hotel is the master suite. 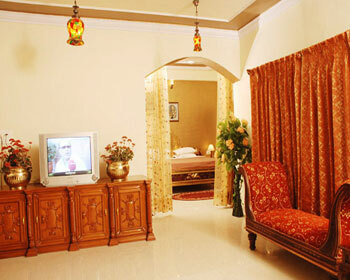 The suite has two rooms one a living room and other the lavish bedroom. Talking of the living room, there is divan type sofa set with a wooden centre table in front of it. A work desk with chic wooden chair, a small dining table and television cabinet has been placed in the room that carries a TV set. There is a dome type entrance to the bedroom which is connected to the living room. 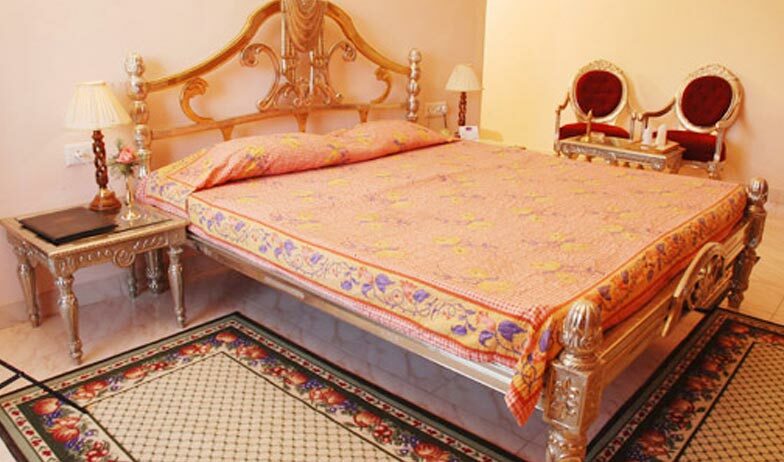 Coming to the bedroom which has a lavish bed with elegant foot rest and back rest crafted and carved out of wood. At the either sides of it are two wooden peg tables each with a night lamp. 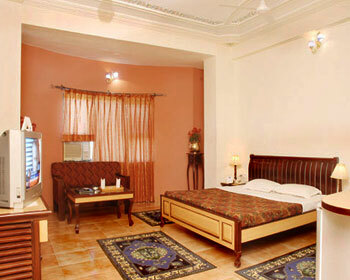 The washroom is attached with the room and has two large windows to offer you a glimpse of city of Pushkar. 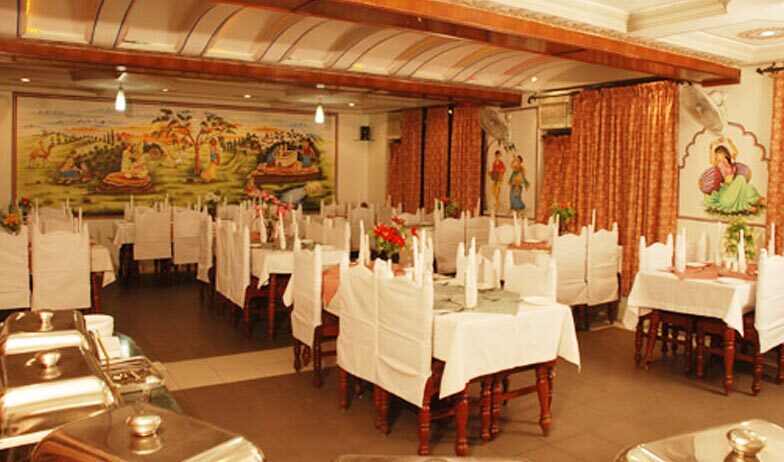 this is an open garden restaurant which has cluster type sitting that offers you lush green garden view with delicious and mouth watering dishes. The garden is surrounded by a bush from all sides. Also the tables can be merged if there is a large gathering. 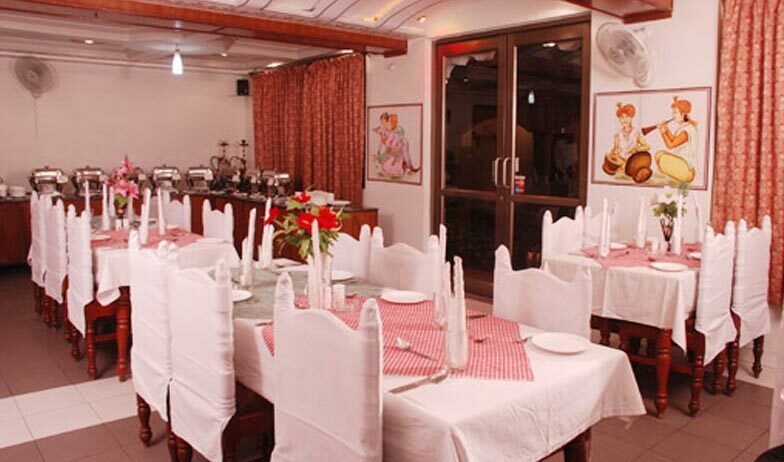 this is an indoor restaurant that has conserved the essence of royal heritage of Pushkar. The exteriors have madhubani paintings of men and women. Inside lies the restaurant that has easy and comfortable chairs with a shallow square table. The ceiling has a domed type structure. 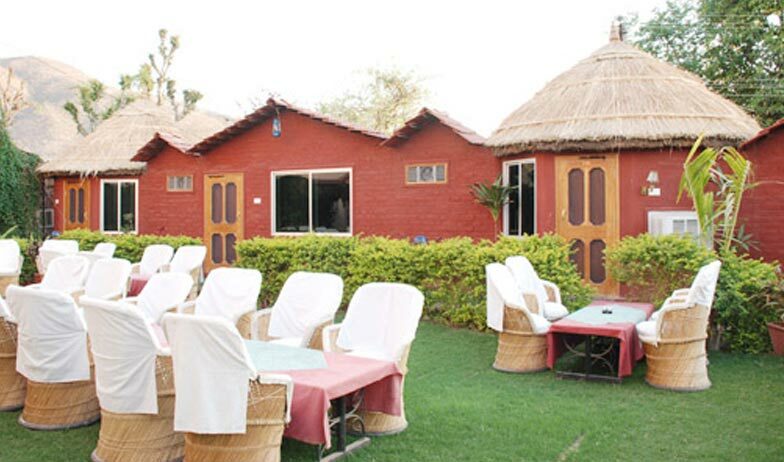 It serves only vegetarian cuisine which is made out of fresh and organic vegetables and exotic Rajasthani spices. Indian, Chinese and continental are some global cuisines which are prepared by the well acquainted chefs.